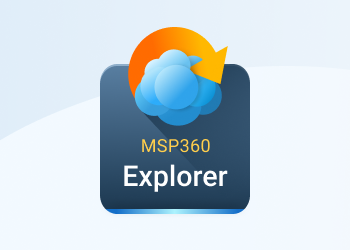 As always we are adding features to make it easier for our customers to use the functionality to offer the most compelling Amazon S3, CloudFront and IAM client on Windows platform. 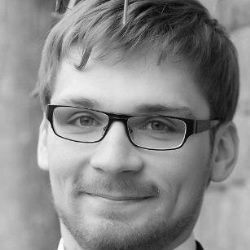 With the newer release v2.7.5 we extending Amazon Identity Authentication Service (IAM) support and introducing an IAM Policy Wizard. 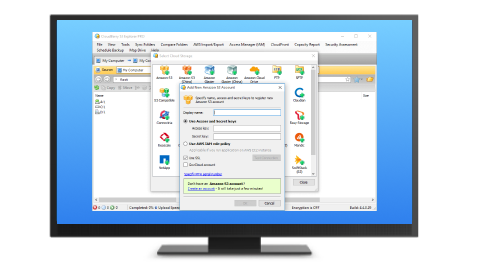 The wizard allows you to create a number of users, and grant them a set of common permissions to a number of buckets and generate Login Profiles. 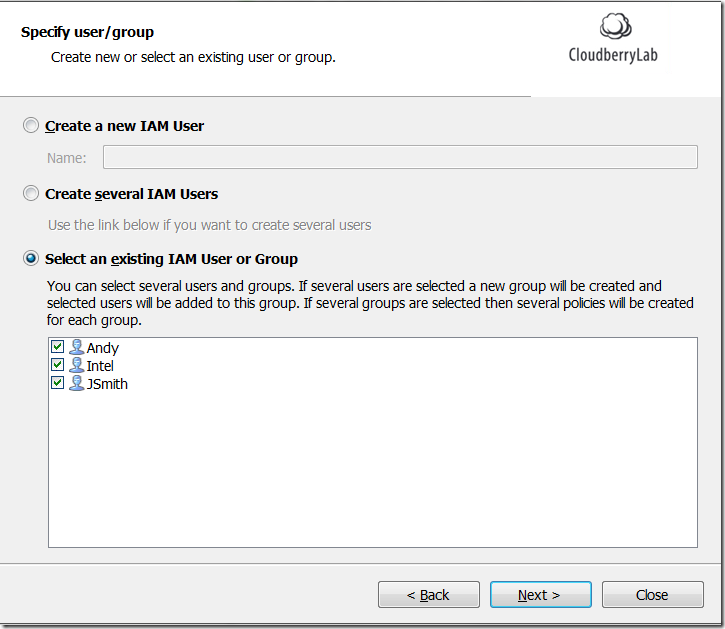 Check out here for more info on IAM support in CloudBerry Explorer. 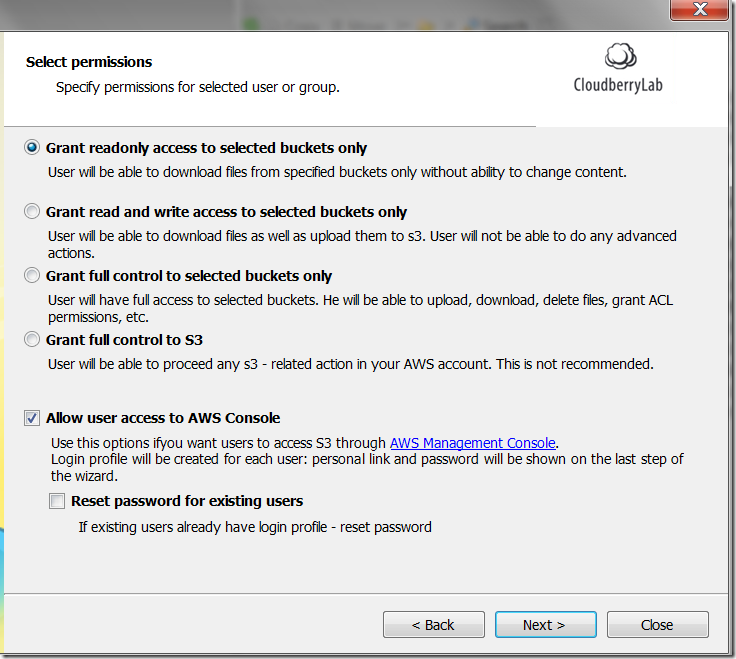 Note: you can also create Login Profiles for the IAM users so that they can access AWS Console. you can learn more about Login Profiles here. 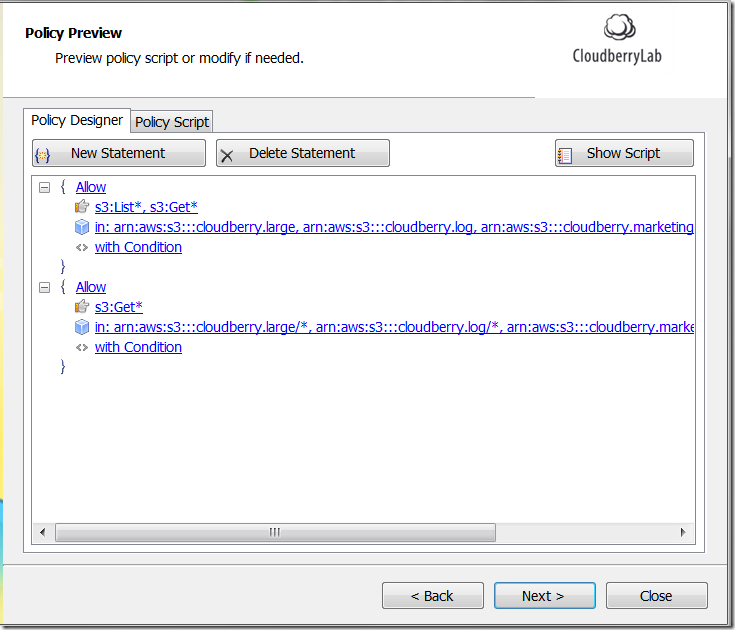 Note: this post applies to CloudBerry Explorer 2.7.5 and later.